The police has hatched a strategy to use police against Besigye to help him build and gain public sympathy so as to undermine Mbabazi. Whatever police is doing against besigye is a plan which museveni sanctioned and authorised kayihura to execute.Besigye is not aware of this plan but the state is benefiting by making besigye more popular than mbabazi. President M7 is used to besigye and he know better how to defeat besigye.M7 is scared of mbabazi because he doesn’t know how to defeat him and time is against M7 yet it’s in mbabazi favour.While M7 has to use only three month to go to all districts to explain himself to people ,mbabazi doesn’t need to be in all district, we finished our mobilisation in every district of Uganda and voters are only waiting to vote mbabazi as there new leader. M7 need 6 months to convince Ugandans but even though he will not win.That is why he has resorted to campaigning for besigye but all in all Mbabazi remain the biggest beneficiary in this new m7 strategy..
M7 days are numbered.Youth are tired of M7.He is a liar and not an honest president.He has no friend in life.He use and dump and destroy you after using you.so many of his comrades are suffering after using them. It’s time for every poor person of Uganda to rise against president M7.We must defeat him in 2016. I call upon international community to keenly follow events in Uganda as the poor youth of Uganda rise against president M7. We shall defeat M7 in 2016. For God and My Country Uganda. Our goal is to defeat President M7 in 2016 Presidential Election.Our Go Forward Candidate is H.E Amama Mbabazi.If TDA summit consider Mbabazi as TDA Presidential Candidate,we will commit our efforts towards actualising the principles of TDA but operating independently as NRM POOR YOUTH Forum as we struggle to bring an end to the reign of president M7. As NRM POOR YOUTH FORUM, we have no problem with Col Kiiza Besigye contesting as FDC presidential candidate or an Independent candidate.We see no harm .We support this position and it’s an advantage in the struggle to defeat the 30 years dictatorship.We need to reach out to the masses, we must prepare the masses for the aftermath of the election.The bitter truth is M7 must go in 2016. Lastly, If TDA summit consider Col Besigye Its presidential candidate, NRM POOR YOUTH FORUM will request Hon Amama Mbabazi to contest on Go Forward Ticket. In other words, Both Besigye and Hon Mbabazi must contest for presidential election if we are to defeat M7 in 2016..M7 strength is only in rigging but with two strong candidates all against him, the rigging will not go him.President M7 has no support .He used to enjoy support in rural areas but things have changed, peasants are for JPAM only anxious for change.Col Besigye has great support in urban areas yet m7 has meagre support in urban areas, Jpam has support amongst the students,elites and middle class yet M7 has support from Asian investors in Uganda. THe military police, commanded by president M7 personal Assistant by the name Molly connived with police to parade some members of NRM POOR YOUTH FORUM Kampala Chapter to force them to denounce Amama Mbabazi in a press conference at Silver Spring Hotel Bugoloobi..Our members have refused to say anything but police has sieged the hotel..No one is allowed in and out now. 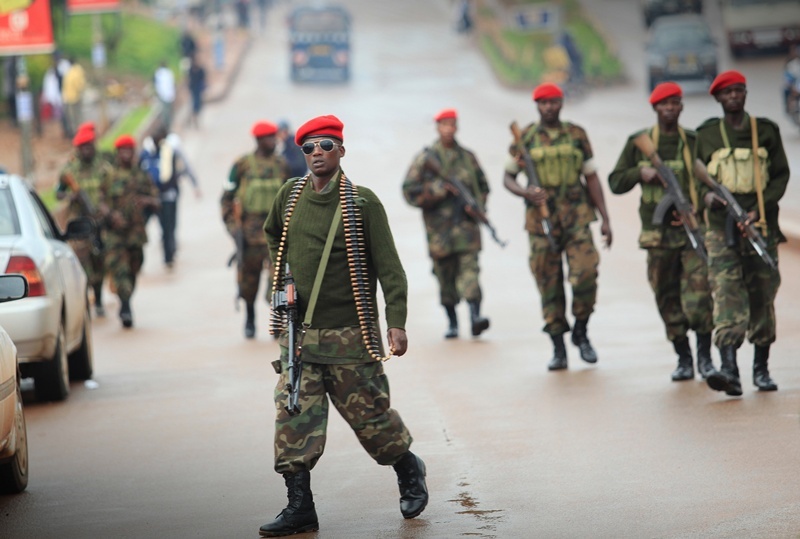 Our members are on gun point to denounce mbabazi. NRM POOR YOUTH FORUM was founded to mobilise the Poor and marginalised youth of Uganda to oppose the dictatorship of President Museveni and his Henchmen. The NRM POOR YOUTH FORUM is fully committed to its cause and we are hopeful that our presidential candidate Amama mbabazi is the next president of Uganda 2016. All our structures a cross the country are still intact and committed to the cause. (Its been updated at 19:36, 19.08.2015 with the NBS TV Footage from the venue and commentary – Since it’s so compelling to the tale). Vincent Kaggwa arrested and missing – Where is he? There been arrest of opposition members has been frequent in Uganda (if you have followed the situation you know its often). 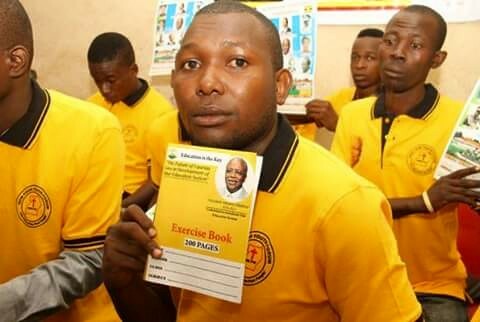 The news was in social media that a Pro-Amama Mbabazi NRM Youth Brigade member Vincent Kaggwa was arrest while wearing a t-shirt with JPAM in 16.07.2015. So the reports starting flying that on the 17.07.2015 the Flying Squad Police raided the residence of Kaggwa with pistols in his Katanga. Then he was driven to the Special Investigation Department (SID) in Kireka. Then after this he headed to the Nalusenya Prision in Jinja. Family members have been to the prison but they claim to never have heard of anybody called Vincent Kaggwa. This all happen for a simple reason – he had shirts with pictures of presidential hopeful Amama Mbabazi. For those who don’t know Vincent Kaggwa. He was one of the main members on the Team Amama Mbabazi 2016-2021. Vincent was also a NRM Poor Youth member. He was also in 2014 the Interim spokesperson for the NRM Poor Youth Forum and the Chairman for the Kawempe sub-county. Hopefully he is breathing somewhere like Sam Mugumya! I really do, but the rumors and speculation are going about the life of Vincent Kaggwa the political active member of NRM Poor Youth Forum that he might even stopped to breathe. Hope he will give a statement soon and the world will know his whereabouts. 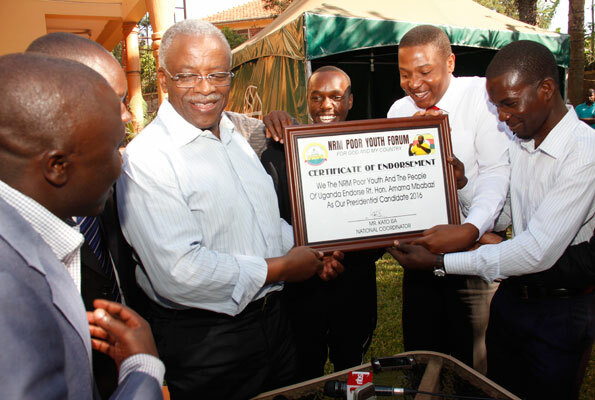 Still the Team Amama Mbabazi 2016-2021 wonder where he is! The same does I, since there haven’t been any reports from government and Police sources. Peace.